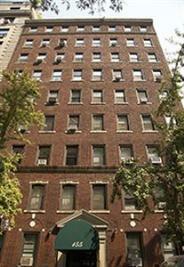 155 East 73rd Street is a pre-war coop building built in 1923 with 32 units. Halstead Picaso, Inc. Application for Lease - attached. Please complete lead based paint forms. Statement of Financial Condition (enclosed)*-must include documentation regarding all financial assets, i.e. bank statements, investment account statements, etc. If obtaining a mortgage: a) Copy of application to the bank b) Copy of commitment letter c) Three (3) Originals of the Aztech recognition agreement.